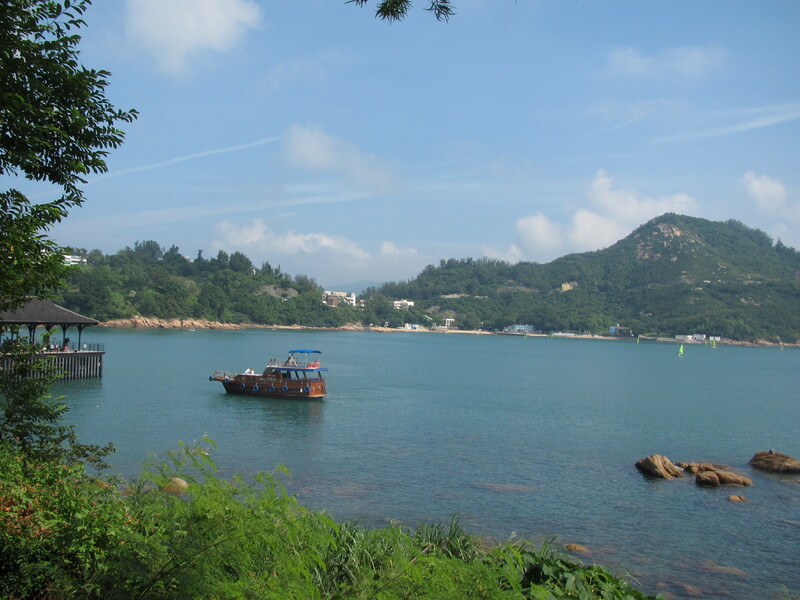 A couple of weeks ago Cate and I met up with a friend who was in town for a day and headed out to Stanley, a little town (and tourist attraction) on the southeast side of HK Island. Would you like to see where that is? I will show you through the miracle of embedded maps. It’s not super easy to get to Stanley via public transportation, but fortunately cabs here are very, very reasonable. 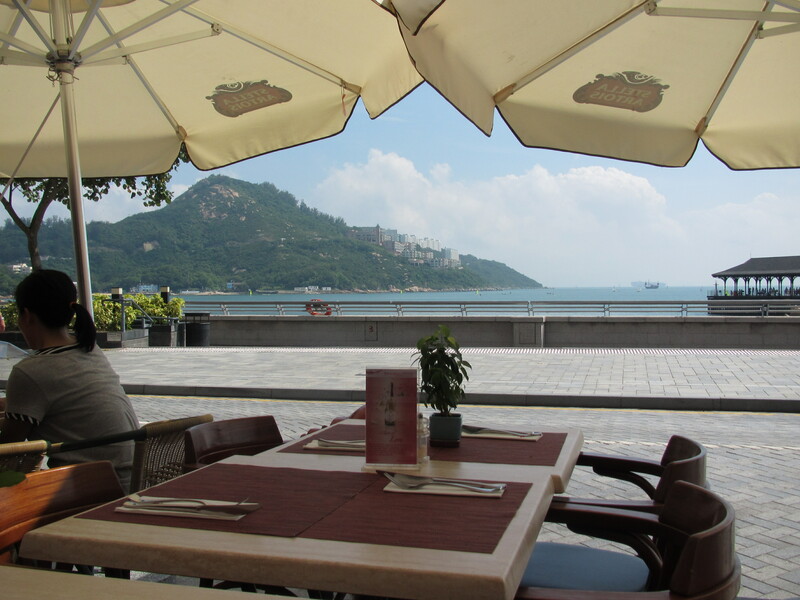 We took a cab from Central, a gorgeous 20-minute trip along winding seaside cliffs, and it cost HK$100 (about US$13). Nice. 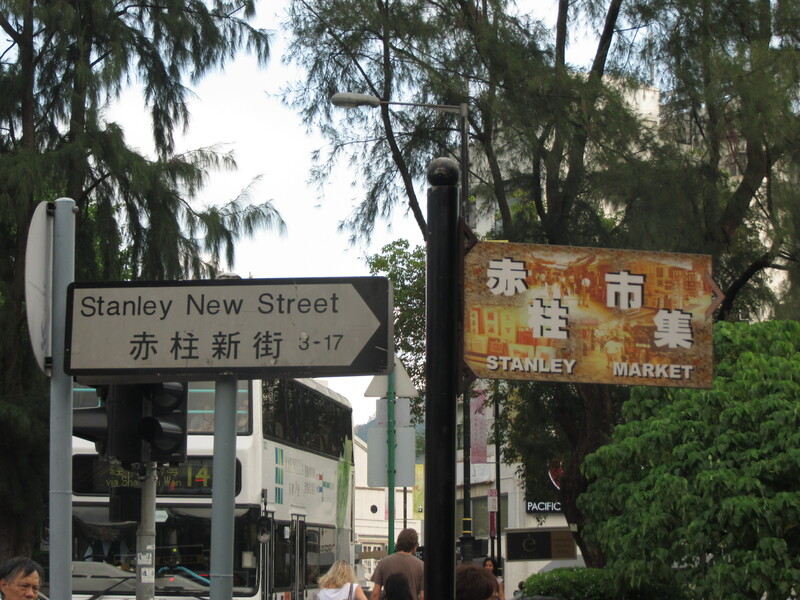 Stanley was briefly the administrative center of HK after the British took over in 1842. 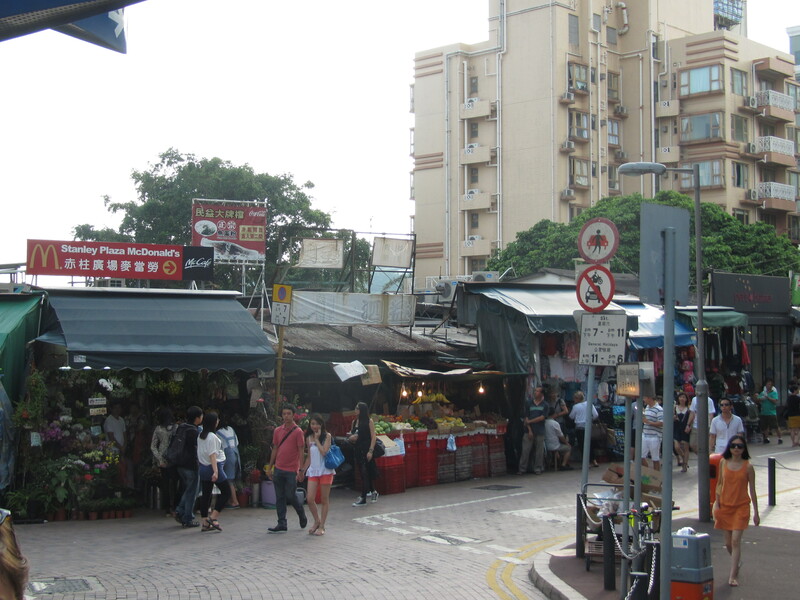 Nowadays it’s known for its beautiful seaside promenade and a pretty amazing set of market stalls in which you can practice haggling for touristy (but fun) trinkets, t-shirts, and the like. We gave it a shot and succeeded. Then I tried to knock 30% off the price of a package of handkerchiefs (it was hot out there and I needed something for the ol’ brow) and was told that in that particular shop the prices were fixed and non-negotiable. Well, I certainly wasn’t going to pay the extra HK$20 (US$2.50) and walked away. Later on, I could indignantly laud my principled stand while sweating pretty freely in the 90°+ heat. I should have just bought the damn things. This isn’t even the biggest or craziest part of the market. We had a real nice lunch there. Here is the view. It is not a bad view. 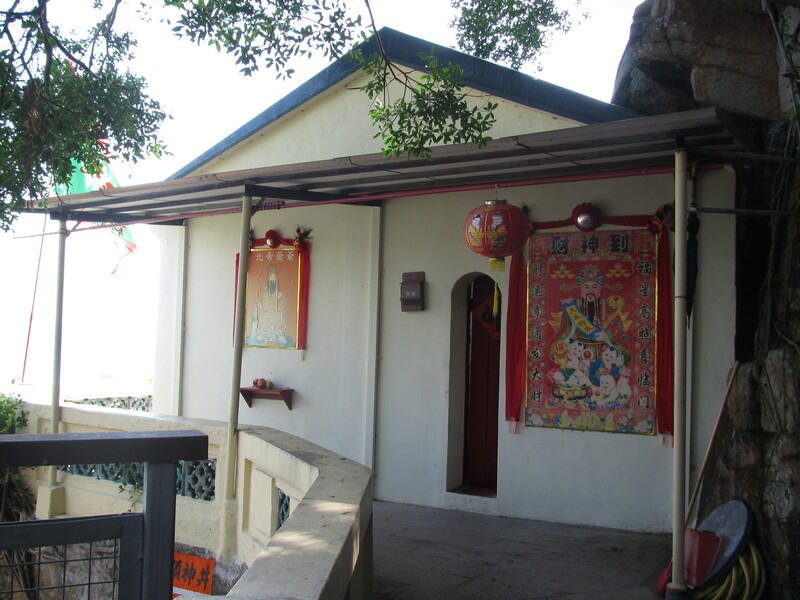 With so much coastline, it’s no surprise that Hong Kong has so many temples to the ancient indigenous sea goddess Tin Hau. Stanley is no exception. 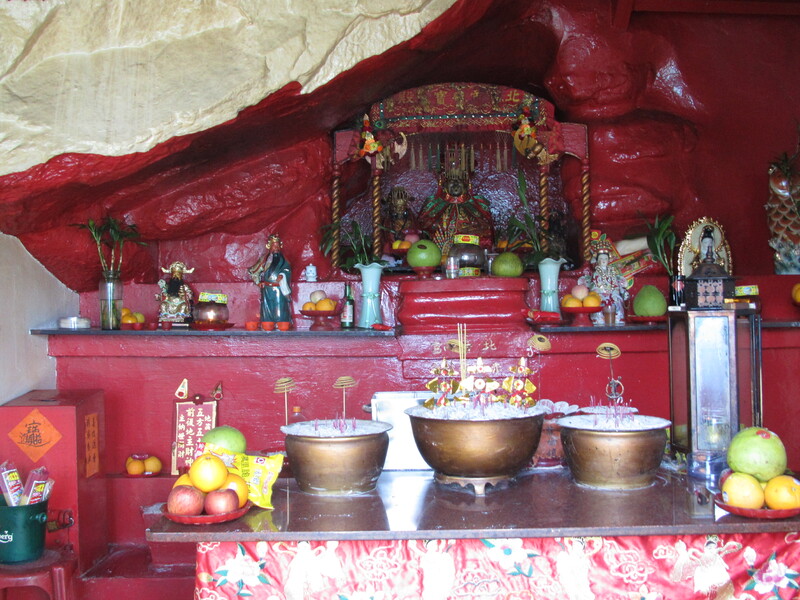 This Tin Hau Temple is modest compared to others we’ve seen. The most unexpected part of our little adventure, though, was the opportunity to hang out with a ton of dogs. And we are missing our dogs very much, so this was quite the treat. Why so many dogs that day? 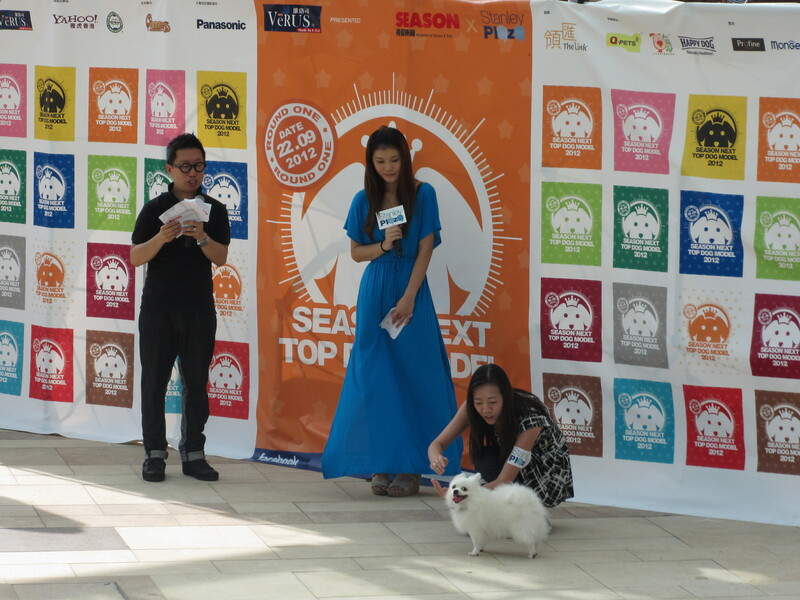 Because it was the Season Next Top Dog Model 2012 competition (round 1), of course. 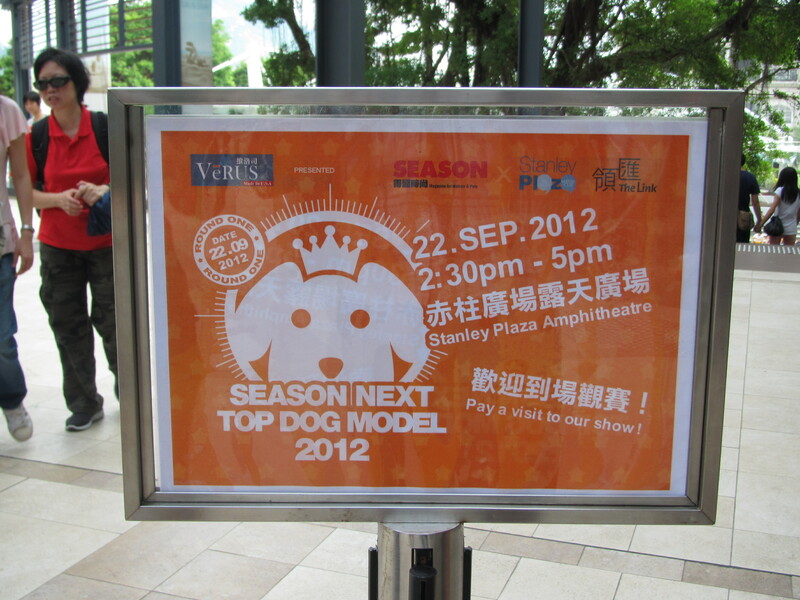 So *that’s* why there are so many pooches here today. This was no small affair. This is serious stuff, people. If you don’t believe me, perhaps this highlight reel from a previous competitor will change your mind. I like this little guy’s chances to win the whole thing this year. 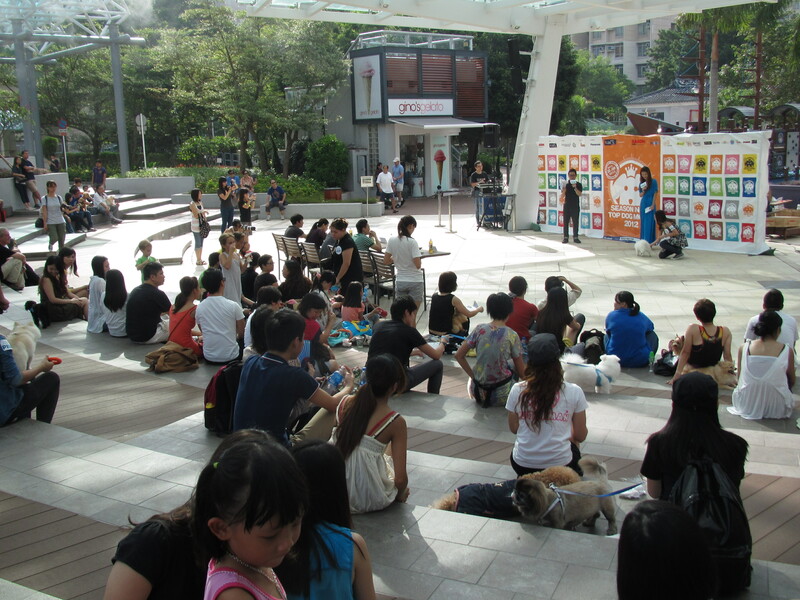 Stanley has a lot of expats living here, which perhaps helps to explain its robust canine and feline economy. There were a ton of pet supply stores, as well as an animal rescue, in a very small area. And then there’s this accomplishment. Nice blog! Liked the primer about HK geography and history especially. 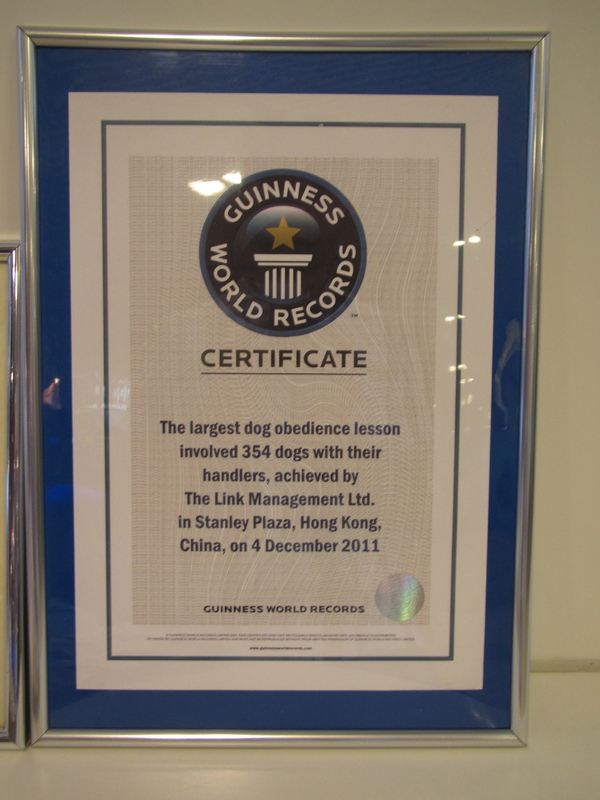 BTW: Maybe I missed it in your post on packing up, but what are you doing with your dogs while you’re in Asia? Let me know if you need any more tips on Bali.